The Horizons in Downtown San Diego is located at 555 Front Street and 510 1st Ave in San Diego. If you are looking for a condo in the downtown area of San Diego then the Horizons is worth a visit. Built by Bosa in 2001, the twin towers of Horizons have a unique middle tropical courtyard between the two units and have some of the best water views for downtown San Diego condos. HOA dues typically average $900/month. Below are the current Horizons downtown San Diego condos for sale. 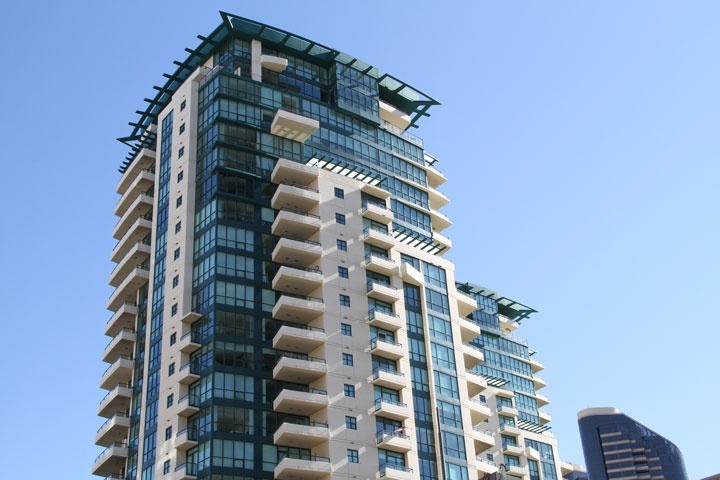 If you are looking for a downtown San Diego condo for rent please visit our San Diego rentals page. We also provide all sold Horizons condos sales at our San Diego Sold Search. All San Diego homes and San Diego Condos for sale are also listed below in the various San Diego neighborhoods. Questions? Let our team of San Diego Realtor Associates help you. Please contact us at 1-888-990-7111 today for a quick response!